Sony has revealed that servers for several of Zipper Interactive’s games will be shutting down in the new year. Zipper Interactive were the developers behind games like SOCOM and MAG on the PS3, and Unit 13 on the PS Vita, and was shut down by Sony in March 2012. 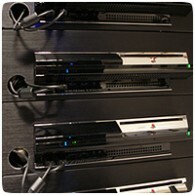 In the past, Sony has already shut down servers for a number legacy titles on the PS2 and PSP. The multiplayer servers for MAG, which supports an impressive 256-player match, SOCOM: Confrontation and SOCOM 4 will be shutting down on January 28th 2014. The co-op servers for Unit 13 will remain open for now, since the title recently became part of the Instant Game Collection on PlayStation Plus. Games have a few months to make the most of the multiplayer components of these games before the servers are shutdown forever.